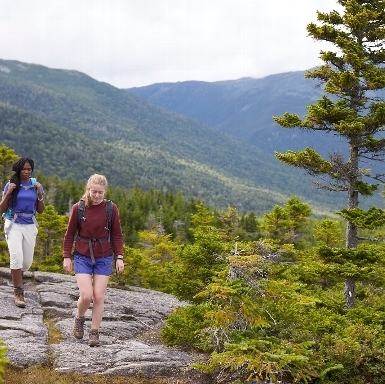 Enjoy some of the best hiking, paddling and other outdoor pursuits in New Hampshire and Maine, in the company of other fun outdoorspeople. Our multi-night Adult Adventures feature comfortable accommodations, spectacular settings, and guided activities designed especially for active adults. Led by AMC’s expert guides, you’ll hike to breathtaking waterfalls, ledges, and even summits, paddle serene ponds, try your hand at fly fishing, and unwind in the evening over a hearty home-cooked dinner with great company. 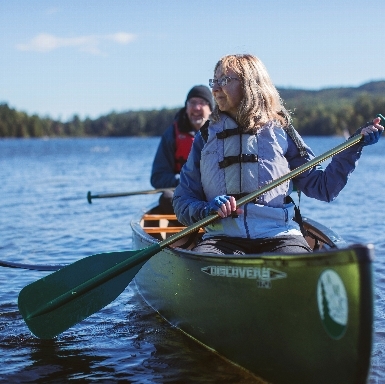 Paddle the rivers and climb the mountains with active adults in the beautiful White Mountains! We&apos;ve merged two or your favorite offerings- paddling and hiking to our backcountry huts…. Program participants should be able to complete a moderate 6-8 hour day hike in a backcountry setting. 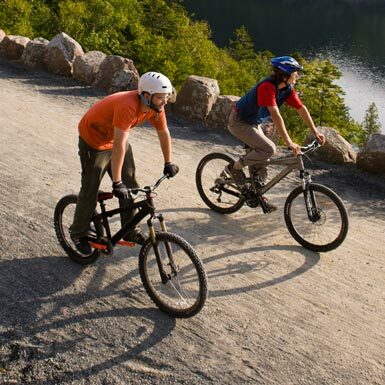 Our guides will calibrate each day’s activity to the group’s challenge level. Depending on the size of the group, we may split up so that there is an option of an easier and a more challenging activity. Participants will receive a program packet and equipment list at registration time. Program participants at the Highland Center have free access to outerwear and equipment from the L.L.Bean Gear Room. A breakfast buffet, trail lunch, and family-style dinner, including home-baked bread, soup, salad, entree, and dessert are included with your guided program package. Please notify us during registration of any special dietary requirements. We can accommodate vegetarian, vegan, gluten-free, and lactose-free diets, and most food allergies, with advance notice. Adult Adventures are led by experienced AMC guides. 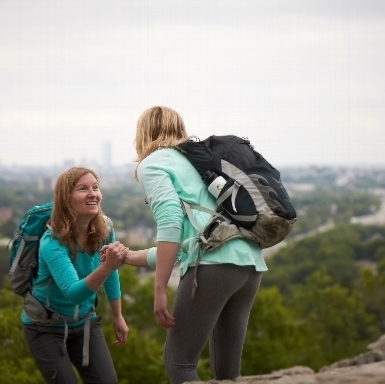 Our guides come from various backgrounds, including outdoor education and environmental studies. All AMC guides go through rigorous AMC leadership training, and all have a minimum of Wilderness First Aid training.